Cordelio Valerio, honorable and loving husband, father and grandfather was taken to heaven on March 22 at the age of 80. 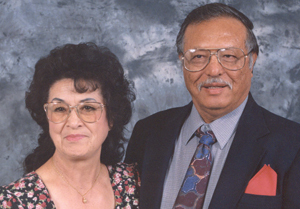 Cordelio was born on Sept. 17, 1931 to Trinidad and Adela Valerio in Ranchos De Taos, N.M. He served as a United States Marine and was proud and privileged to serve his country. Cordelio had a love of nature and the world around him. He was a true admirer of God’s beautiful creations. He treasured fishing, hunting, feeding the birds and keeping in touch with his loved ones. Cordelio valued family and wanted the best for his children. He will now act as a guardian angel guiding, advising and watching over them from above. He was a faithful member of St. Marguerite’s Catholic Church and his faith and love for God and life were evident in his jovial spirit. He was a kind hearted person and the friendships and lifetime of memories will always hold dear to anyone who knew him. Cordelio is now reunited with the love of his life, Tina, in paradise and their eternal love will never be broken again. Their new journey in heaven has just begun. Cordelio was preceded in death by his beloved wife Ernestina Valerio, parents Trinidad and Adela Valerio and brother Junior Valerio. Cordelio is survived by sons Johnny (Mary), Jimmy (Kindra) and Randy, daughters Jessie (Ralph) and Della (Roland), 12 grandchildren and 13 great-grandchildren. Services were held March 27 at the St. Marguerite’s Catholic Church. Interment was in the Tooele City Cemetery. Cordelio’s family would like to give thanks to all those who offered him love and companionship during his time of hardship with the loss of his wife. They are reunited at last.